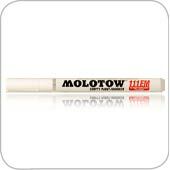 Molotow has come out with another line of markers for artists. And with that, they came out with Refill ink for those markers. The High Solid Ink has great coverage on most surfaces. They come in 18 different colors straight from the Molotow Premium paint line. These inks don't have to be used to refill their markers. You can use them with your airbrush or any number of other applications. Another feature of these inks is their bottle. They have an easy-pour lid so it's always convinient to pour the ink quickly and cleanly as you work. 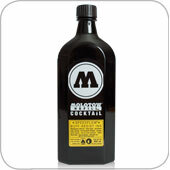 The bottles are 180ml, so there is plenty of ink to use.